BMX Flight Revolve III. Pick-up only from Brunswick. Condition is Used. See pics of superficial wear. Ability Level: Able To Ride Or Ready To Learn. Just 8 kgs. Local pickup only, Mosman 2088 weekend of 27/28 April or after. Has front brake that is in good condition, one gear and rear foot pedal brake. Bike BYK E350 orange and White Age: 4-6 Years Height: 95-117cm. Bike BYK E350 orange and White Age: 4-6 Years Height: 95-117cm.. Condition is Used. Pedals are worn but functional (see photos). Ride 858 Mini BMX ( Black with Red Splash). Well Built, and tested by Australian and USA professional BMX riders. - High Quality 3 pc Crank. From the team at Ride 858. Made to perfection. For stunt use only ! 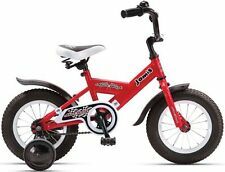 Mongoose Lil' Goose Toddler Kids BMX Bike 12" Silver Colour . Condition is Used. Training Wheels included. The bike is in. Bike stand not included. AUSTRALIAN MADE. Really nice Kids Bike, colour red. Hardly used in very good condition. Condition is Used. Looking cool is a great excuse for getting a little exercise. H/BAR&STEM BMX BAR ALLOY HEAD 4SMALL DOLTS HI-TENALLOY. PEDAL ALLOY W/BALL ALLOY. Ride 858 Mini BMX ( BLACK). - Quality 3 pc Crank. From the team at Ride 858. Made to perfection. For stunt use only ! - 9T Driver. Suitable for 8 year olds. Made of steel. Minimum height of 122cm. 360degree rotar. Freestyle tyres. Front and rear linear pull breaks. Wheel size 50cm. The evolution of the ByK Mountain series bikes takes on new challenges and exciting adventures. From the responsive handling to increased safety at speed, the ByK MTBD Kids Mountain Bike range sets new standards in safety. DOWNHILL MOUNTAIN BIKE DIAMOND BLACK BRONCO 24"
The Black Diamond Bronco downhill mountain bike is great for all aspects of riding. Slight rust but nothing too serious. Fantastic working brakes, strong wheels and a stylish design. Malvern Star Attitude 20" 2016 "Great saving on NEW Price" Excellent Condition. EXTRAS Rear derailleur guard and kickstand. Type: 20" Kids Bikes. Tyres Grooved Smooth BMX style 20 x 3.0". Headset 1 1/8th Ahead. Avanti MXR 20 Unisex Bmx Bike. Condition is Used. Bike is in good condition. Selling as-is. Slight rust discolouration on rims. Could do with a service. 20in Giant "MTX 150" 6sp Alloy Mountain Bike. Condition is Used. Local pickup only. It is in quite good condition and its suitable for Children from 7-12. 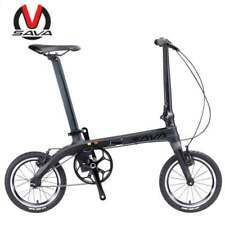 Super lightweight Flight 40 kid's bike, alloy children's bicycle. Local pickup only. Super lightweight Flight 40 kid's bike. Hoffman forks. Signature Chris Courtney seat. Colony wheels. BYK E-540 Racer Bike Boys - White / Black. 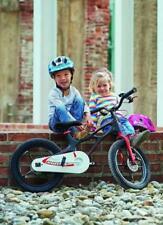 BYK best kids bike on the market. Pure Fun for the young champion. Just 11kg. Comfortable with major skills and ready for the next step. However, we reserve the right to correct any publishing errors on the website and cancel orders made at the incorrect price. Southern Star 7 Speed Bike. Pickup only. Ride 858 Mini BMX ( Black with Camo Seat). 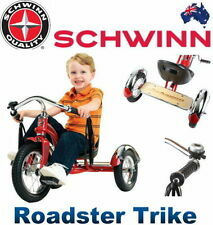 Well Built, and tested by Australian and USA professional BMX riders. These bikes are easy to assemble. Only need to assemble the bars, seats and pedals. - Quality 3 pc Crank. Have you ever been on a bicycle ride with around say 4 to 8 year old and your child gets tired and doesn’t want to cycle anymore?., they want to walk and you end up pushing their bike and yours ! Low Centre of Gravity Connection point to the Adult towing bike. 50cm Exile BMX Freestyle Bike. 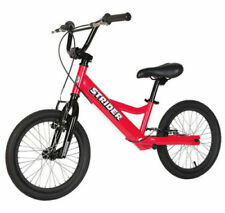 A great way to keep your child fit and active, this cool BMX bike features freestyle tyres and stunt pegs. Front & rear stunt pegs. Wheel size: 50cm. Freestyle tyres. Crank 3-piece steel. The best mountain bike for the fun and adventurous kid. 510MTB | Age: 7 - 11 years | Height: 130 - 160 cms For the fun and adventurous at heart. While you can cruise the streets at ease, with the new 1 x 8 speed wide range gears and a touch of the race tuned suspension, you can drop straight into the exciting world of off-road riding. Our attention to detail in the geometry and with every single component ensures a ride to remember, everytime. Just 12kg. Ability Level: Comfortable with major skills and can ride up and down gutters. Seeking adventure..